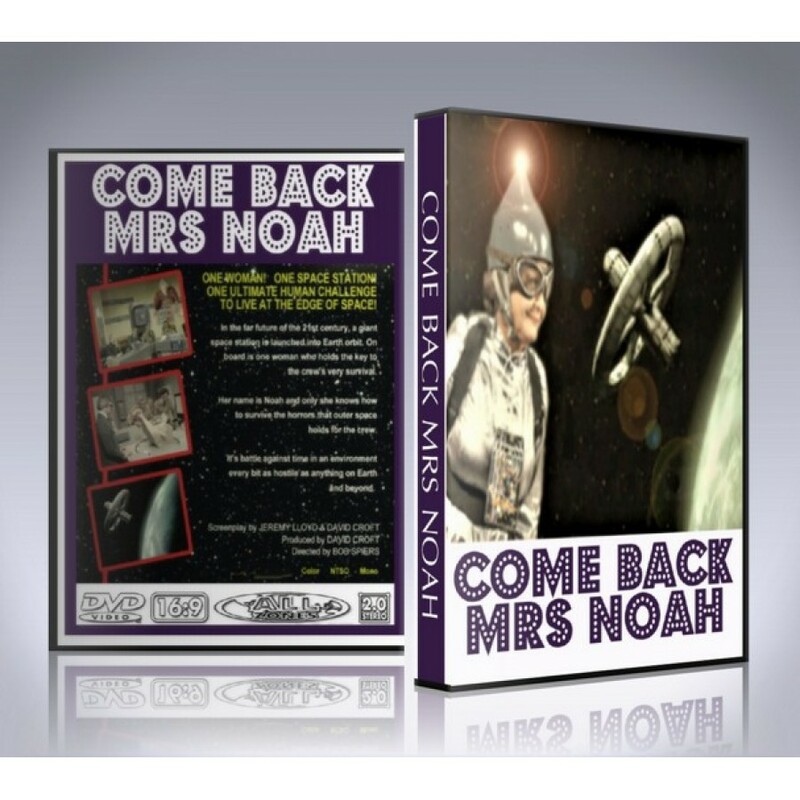 Come Back Mrs Noah (The Complete Series) PAL (Contains All 6 Episodes): In 2050, a British housewife called Gertrude Noah wins a cookery competition, and the prize is a tour of Britannia Seven, the UK's new Space Exploration Vehicle. In the pilot episode, the craft is accidentally sent blasting off into space with Mrs Noah and a small crew on it. The series then centres on efforts to bring Mrs Noah back down to Earth. The news bulletins on Earth, read by Gorden Kaye, provided what some say are the funniest lines in the programme, revealing countries like the USA and Germany had to turn to Britain, the most successful nation on Earth, for help. Another comedy gem from the writers that brought you 'Are You Being Served?'. The Come Back Mrs Noah DVD includes custom artwork and DVD menu.